A flood-hit town tested its multi-million pound defences during a training exercise. 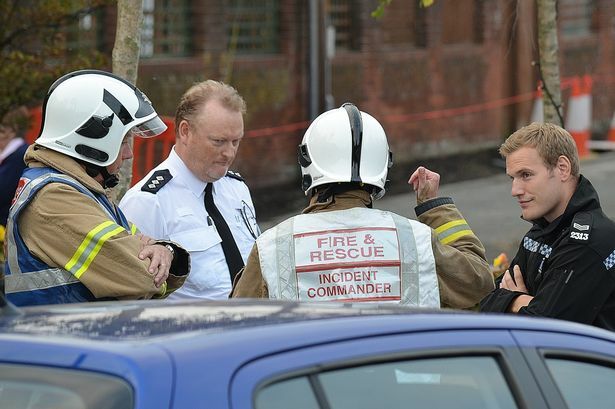 Residents in Morpeth were evacuated from their homes, fire and rescue officers swung into action, and a team of volunteers all took part in the training day. The aim of the exercise was to test the defences should devastation of the scale that struck in 2008 and 2012 happen again. 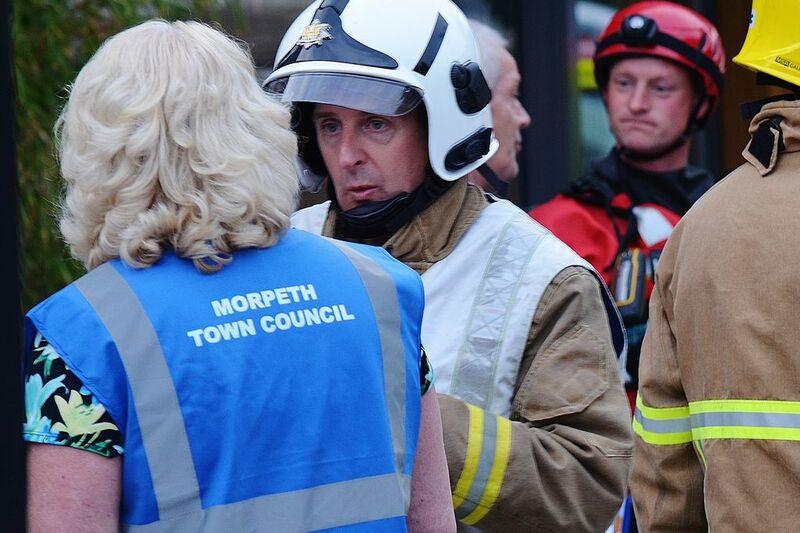 For the first time Morpeth Town Council, the Environment Agency and the emergency services were able to put into action part of the town’s new £27m defences, as well as a new community flood plan. People living in the High Stanners area of the town who volunteered to be ‘rescued’ were collected from home and taken to the town hall for a cup of tea for their efforts. Evelyn Bray, 86, whose bungalow at Challoners Gardens was damaged by flooding in 2012, and was rescued by boat at the time, said the mock flooding exercise was a good idea. “I lost everything in the flood in 2012. I was taken out by a dingy. The water was over my knees and coming out from around the fireplace and even out of the phone I had attached to the wall. The live exercise started on Monday with messages sent to the town council from the Environment Agency about expected heavy rain fall. When the water rose to a ‘critical level’, the council contacted a team of volunteers who put into practice the new action plan called the Morpeth Community Agreement and shut three flood gates at High Stanners and evacuated homes of residents. Mother-of-three Kirsty Anne McLean, 37, who agreed to take part in the practice with her two youngest children said she was helped out of her home by boat in 2012. The £27m Morpeth Flood Alleviation Scheme - which is now £5m over budget - involved building a new flood defence wall and three flood gates in High Stanners which protect homes at Abbey View and Abbey Terrace and the homes behind, including Challoners Gardens. A retention dam is also being built upstream of Pottery Bank Court and will hold back 1.4 million cubic metres of water from the River Wansbeck. A man living on a flood-hit street said he will continue his campaign to get his home included in Morpeth’s defence scheme. Morpeth town councillor David Clark set up Save Wansbeck Street earlier this year and has installed a banner near the River Wansbeck’s new flood defences at High Stanners as a reminder some homes are still at risk further downstream. The independent councillor said: “We were flooded in 2008 as were most of the residents of the town and in 2012 it missed coming into my home by six inches. 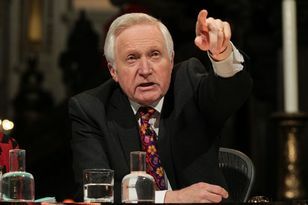 The Environment Agency said people have been given flood protection devices like metal shutters to use on their doors.